VirtualGiff.com: Why I tweet so much! I use the "Like" button as a "bookmark" button. 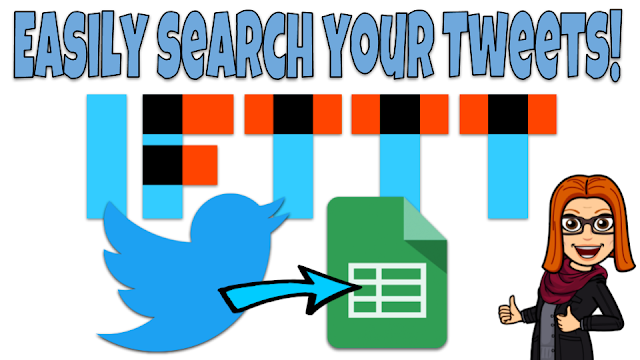 Then I use IFTTT to add any Tweet that I "Like" to a Google Sheet, just like you do with your own Tweets. I also use IFTTT to add the Tweets that I "Like" to an Evernote note and to my Diigo bookmarks. Another benefit of "Liking" a Tweet is that I can set up a column in TweetDeck with all my "Likes" and then I can search that column for specific words, phrases or hashtags. I can also set a date range to search, so that I could find all the Tweets that answered a certain question (A1, A2, etc.) during a chat such as #edchat.